Augmented reality, or AR, is becoming more and more prevalent. There are many applications of this technology – some new, some dating back to the 1940s, but what is augmented reality? In short, AR is the process of putting “non-real” (computer-generated, most often) content over top of a real environment. Ever seen one of those selfies where the person has a dog nose and ears superimposed over their own face? That’s AR. AR has been around for a long time – though not really known as AR until the 1990s. It can be argued that the first practical use of AR was the Head Up Display (or HUD) in fighter planes during WWII. By placing targeting and other flight information directly on the windscreen of the aircraft, engineers allowed pilots the ability to access data while still being aware of their physical surroundings. This was especially useful on night missions. 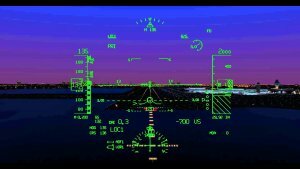 Prior to the use of a HUD, a pilot would often have to look down at a lit-up screen among their instruments, then back up into the night sky, making for many difficulties. While I’d love to talk more about things that the History Channel used to cover before it became all about pawn shops, let’s jump forward to more recent times. AR use has become widespread. Snapchat, Facebook Messenger and Apple are all big players in the AR game currently. Those Apple commercials that show the poop emoji singing and following your head movements? That’s AR. This video shows some examples of how Facebook, which has opened their AR Studio Beta up to anyone who wants to do development for it, can use AR for FB Messenger. “Well, that’s great,” I hear you thinking, “but how can I use this AR stuff for my business? What can KK BOLD offer me in the way of augmented reality advertising?” (Note: You probably weren’t really thinking that at all. I’m terrible at this mind-reading stuff.) AR isn’t for every business. At least, not yet. There are, however, several ways a business can make use of AR – both for advertising and as a sales tool. TRY IT ON – Many retailers use AR to allow customers to get a sense of how their product can look. 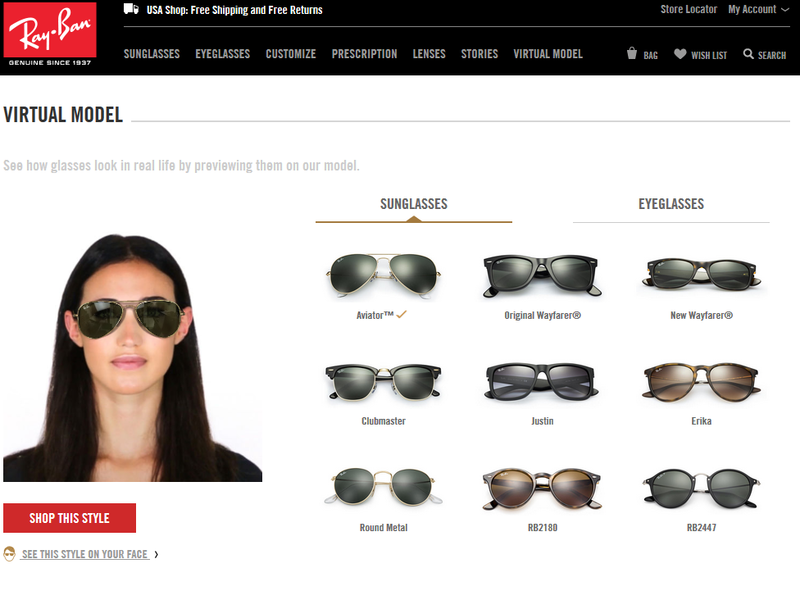 Ray-Ban is using AR on their app to allow you to “try on” their sunglasses via your phone. IKEA is using AR to let people “build furniture” in their homes to see how it would look. 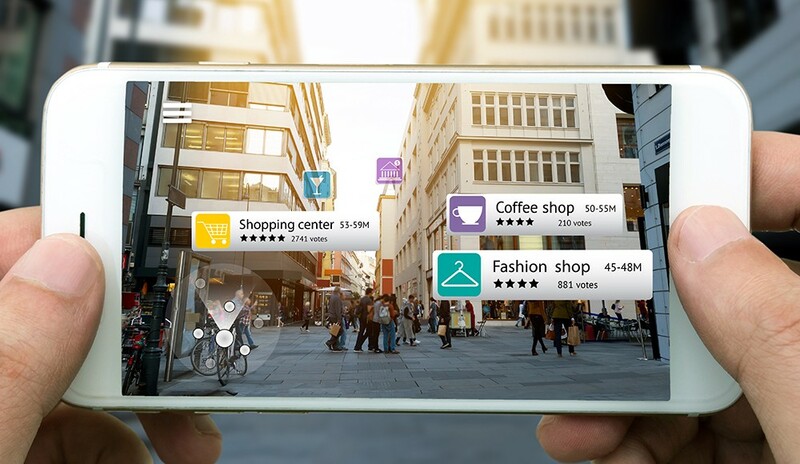 FIND IT – Getting customers (or potential customers) to find items within your store – or even enticing them to come in to shop – is another potential use of AR. This video from Walgreens shows how AR can be incorporated into a shopping experience. Here’s an example of how “hyper-local” advertising could work in various shopping districts. SHOW OFF – This is the most common use of AR in today’s marketplace. Larger companies are flexing their creative budgets and staging PR stunts using augmented reality. Pepsi Max made an ordinary bus shelter much more interesting. National Geographic let passersby get in on the action. While AR use has become more widespread, it is still in its infancy. Many downsides to the technology still need to be overcome. It’s cumbersome. For now, AR mostly requires you to download an app of some sort, or even use special technology like a headset. 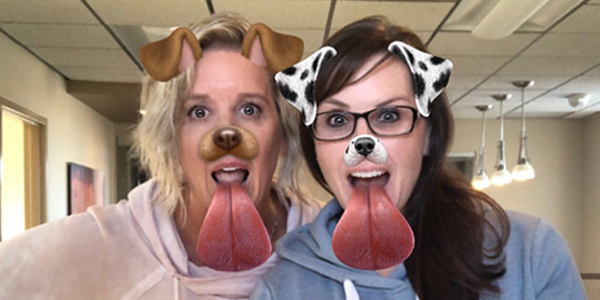 The most ubiquitous examples of AR in daily life are in apps that are already popular and have added the AR functionality – things like Snapchat. It can have some hefty hardware requirements. If you’re able to continually upgrade to a new smartphone every couple of years, you’re probably fine. But for many businesses, relying on customers having the latest-and-greatest tech to reach them is a risky proposition. Tracking ROI. Depending on the AR implementation, figuring out if you’re getting any money out of it can be tricky. While companies like Ray-Ban and Ikea can track usage of their AR apps, other uses are tougher (or impossible) to gauge with a significant metric. Well, I’ve said plenty about AR above, so if you like, you can go forward with the rest of your day and be pleased with knowing a bit more about this emerging technology. However, for those who might like to view a bit of nightmare fuel, this video produced by short-film maker Keiichi Matsuda shows the potential downsides of a future with augmented reality at the forefront of our everyday lives. 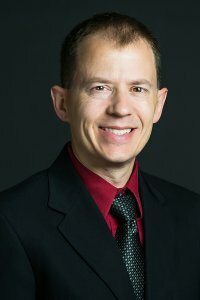 Want to hear Kalvin ramble on more about AR? Or WWII-era fighter aircraft? Get in touch with us by commenting below or filling out our contact form.